In what was a truly record breaking night celebrating Australian music, Sony Music Entertainment Australia took home an incredible 8 gongs at the 2018 ARIA Awards with Apple Music, held on Wednesday November 28th at The Star Event Centre in Sydney. Amy Shark scooped up a remarkable 4 awards this year, including Best Female, Best Pop, Producer of the Year (handed out at the Artisan Awards last month) and the highly coveted Apple Music Album of The Year for her debut album, LOVE MONSTER, making this the second consecutive year Sony Music has won this award. Ruel – who has had an amazing 12 months – took home Breakthrough Artist for his single ‘Dazed & Confused’ taken from his debut EP READY, making him the youngest ever recipient of this award in ARIA history. Parkway Drive, who have been on the road touring these past 12 months, took home the hotly contested best Hard Rock / Heavy Metal Album for their ‘Reverence’ album out now through Resist Records / Cooking Vinyl. Tash Sultana, who was nominated for an incredible 6 awards this year, was awarded the Best Blues and Roots Album for one of the year’s most innovative and original debut releases, FLOW STATE. After a standout year with her smash hits – the 7 x platinum ‘Havana’ and 3 x platinum ‘Never Be The Same’, Camila Cabello won the Best International Artist award. 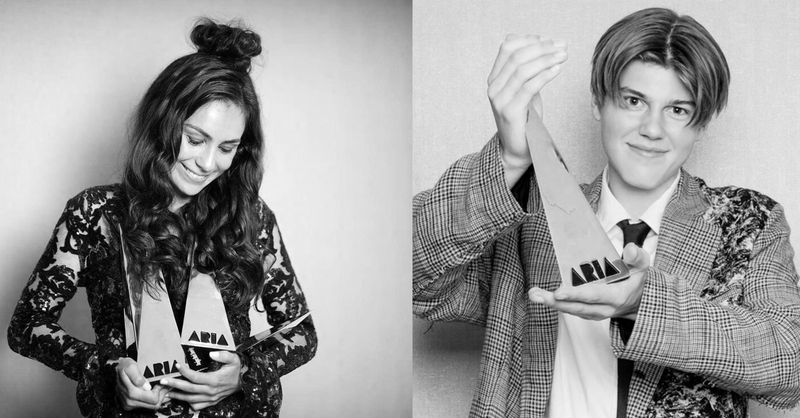 The 2018 ARIA Awards with Apple Music also saw outstanding performances on the night, including international special guest George Ezra performing his ARIA #1 single ‘Shotgun’, Jessica Mauboy with Briggs, Courtney Barnett & a 16 piece Orchestra paying tribute to Best Male recipient Gurrumul, alongside label mate Amy Shark who started out the evening setting the room on fire with her performance of ‘I Said Hi’ to closing the night with a stirring rendition of ‘The Fighter’ with Keith Urban.